Researchers at Washington State University, Pacific Northwest National Laboratory and the University of New Mexico have created a catalyst capable of reducing pollutants at the lower temperatures expected in advanced engines. 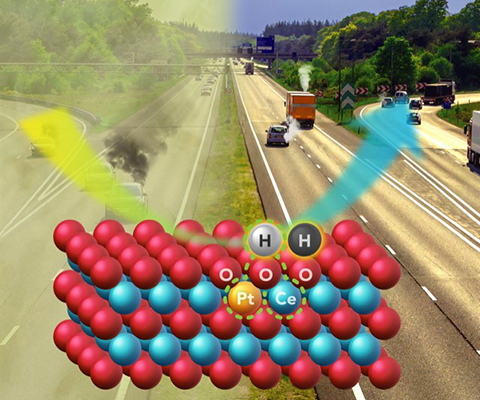 Their work, published this week in the journal Science, presents a new way to create a more powerful catalyst while using smaller amounts of platinum — the most expensive component of emission-control catalysts. 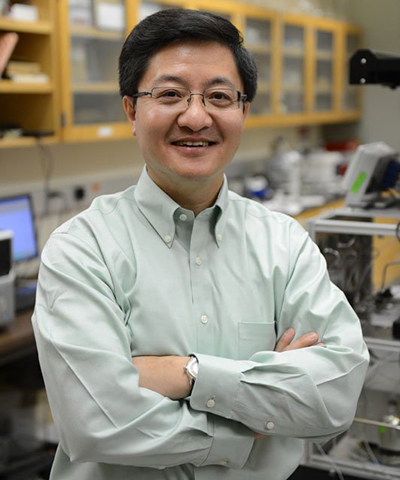 Wang helps design catalyst capable of reducing pollutants at today’s lower engine temperatures, as published in the journal Science. Catalysts have been an integral part of diesel- and gasoline-powered engines since the mid-1970s when federal regulations began requiring reductions of carbon monoxide, hydrocarbons and nitrogen oxides. Catalytic converters convert the pollutants to benign gases such as nitrogen, carbon dioxide and water. The researchers addressed the daunting challenge of designing a catalyst that could endure engine exhaust temperatures of up to nearly 750 degrees Celsius (about 1,500 degrees Fahrenheit) encountered under high engine loads. Yet the catalyst would still have to work when an engine is started cold and must clean up the exhaust before reaching 150 degrees Celsius — more than 100 degrees Celsius less than current systems. The lower operating temperatures during cold start are due to increasing fuel efficiency in advanced combustion engines, which leaves less energy in the tailpipe exhaust, said Abhaya Datye, a distinguished professor at the University of New Mexico’s Department of Chemical & Biological Engineering and study co-author. The work was funded by the U.S. Department of Energy. The research is in keeping with WSU’s Grand Challenges, a suite of research initiatives aimed at large societal issues. It is particularly relevant to the challenge of sustainable resources and its theme of energy.